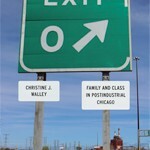 On Monday, June 10th host John Quinlan talked with Christine Walley about her book “Exit Zero: Family and Class in Postindustrial Chicago.” This book centers around inter-generational stories of families, including Walley’s own family, who were affected by the closing of steel mills in Chicago. 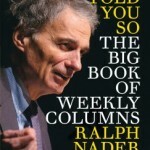 On Thursday, June 6th, sub host Bob McChesney interviewed Ralph Nader about his new book, “Told You So: The Big Book of Weekly Columns”. On Wednesday, June 5th, host Karma Chavez talked with Christine Neumann-Ortiz of Voces de la Frontera about labor, immigration issues, and the 1-year anniversary of the Palermo’s worker strike. 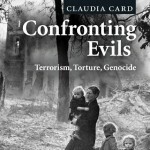 On Tuesday, June 4th sub host Tim Hansel interviewed UW-Madison philosophy professor Claudia Card about her book “Confronting Evils: Terrorism, Torture, Genocide”. Throughout the hour they discussed what makes something evil, examples of evil within our world today, and what our responsibility to combat evil is. 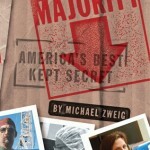 On the Monday, June 3rd show of A Public Affair, host Stu Levitan talked with author Michael Zweig about his book “The Working-Class Majority”. This book discusses issues of class and class stigmatization in America.